Hand-crafted by master cheesemaker Christian Oberli at Kaserei Oberli, Schweizer Gold is a substantial 15 pound Alpine style cheese. Made with raw, silage free milk and hand washed throughout its 9 months in the cellar, resulting flavors are of custard, yogurt and garlic, with a long finish. Its paste is firm, dense and flakey, speckled with protein crystals. 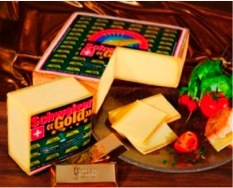 The result is a cheese with strikingly more similarity to Gruyere for cheeses from eastern Switzerland. Kaserei Oberli was originally built in 1918 and engaged primarily in the production of Emmentaler cheese for export. When the family passed the dairy to the second generation, they began the transition to Tilsiter cheesemaking and produced this cheese exclusively until about 1998 when the increasing consolidation and industrialization of the more commercial AOP cheese production influenced third generation Christian Oberli to diversify his production. 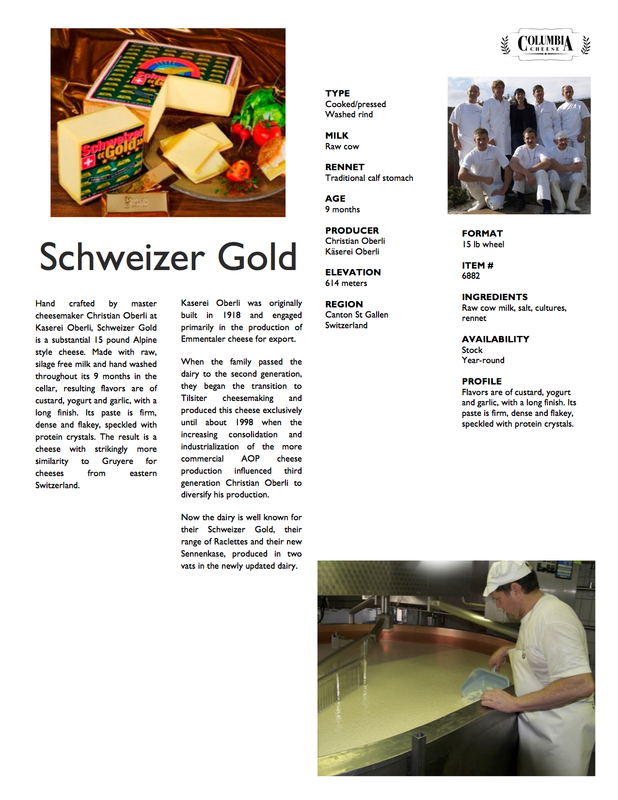 Now the dairy is well known for their Schweizer Gold, their range of Raclettes and their new Sennenkase, produced in two vats in the newly updated dairy. PROFILE Flavors are of custard, yogurt and garlic, with a long finish. Its paste is firm, dense and flakey, speckled with protein crystals.